After a long break from doing wallpapers, the monthly wallpaper has returned! 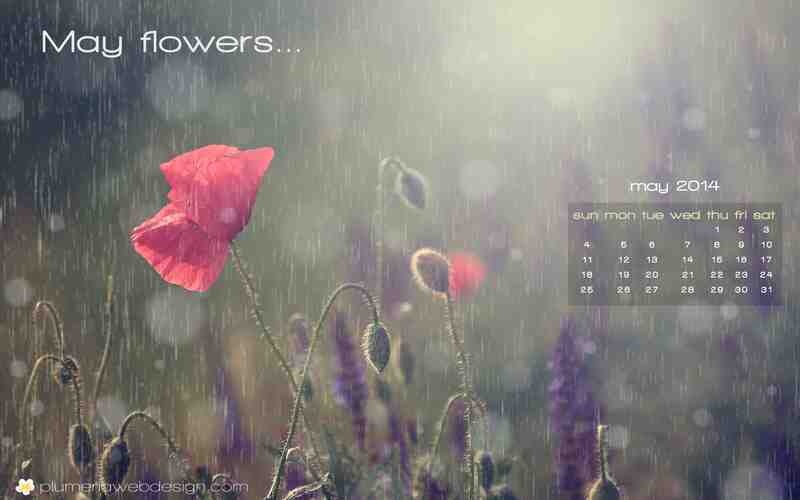 In the spirit of spring, I have created this May flowers themed desktop wallpaper for you. This wallpaper captures the essence of “April showers, bring May flowers”. I thought it was a very lovely photo and it makes an awesome desktop. I hope you enjoy it just as much as I do. To download right click your preferred size below and choose save as. If you don’t find a size you’d like, request it and I will gladly accommodate you.